Best Display: Vive, Oculus, or other? Resolution: Oculus over 1080p. with a screen that close to your eye will 1080p be enough or will the Crescent Bay version with higher res make a noticeable difference? Refresh rate: Is 120hz necessary or will the Vive's 90hz be enough? Field of vision: 100 degrees enough or will the Vive's 110 make a difference. Tracking sensitivity: With the Omni there won't be a need for Vives ability to walk around the room, but what is necessary to keep the display and movement synced during fast 360 degree movement on the Omni. Compatibility: It's guaranteed the Vive will work with PC games and I don't want to get tangled up in cords when spinning within the Omni. Projected release: If I order the Omni now, I will want to be able to use it when I get it, and many of these displays seem like they won't be shipped until long after I get the Omni. Price: I expect to be spending a lot for a full VR setup. But I also don't want to have to constantly have to fork out cash to keep updating my display. What are your impressions, suggestions? Should I wait to order all the equipment, or start pre-ordering now? It's a big investment and I want to make sure I invest properly. Well currently your only options are the RIft DK2 or the Gear VR. You couldnt even pre-order anything else if you wanted to. I am persinally starting to lean towrds the Vive partly because it does have a tentative release date, though we all know how Valve time works. So depending on when the Omni is delivered I may actually get a DK2 if there is a significant wait for consumer versions of the HMD's. By significant wait i mean however long it takes me to unpack and set up the Omni! 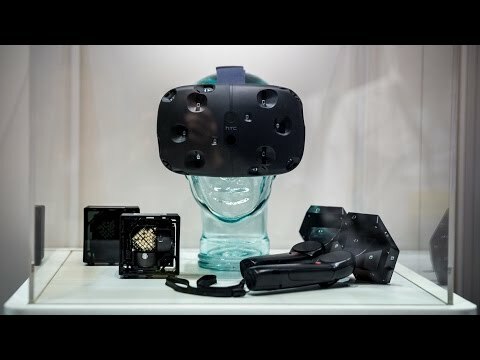 The vive looks much better than the latest rift. I would hold for it to be released. The consumer Rift has no delivery dates so who knows about that one.... Honestly, the DK2 is already outdated if you saw the crescent bay demo at CES which I did. The vive demo is even better. great review, I didn't get any headaches or feel sick after using the vive. I guess I did not use it as long as your team did. About the Sony, I don't think I could buy that, sony has a history of making things too proprietary. I need something that will work with my open computer platform.